Sergeant Chad Malmberg must find a way to save his convoy when they are ambushed by armed insurgents. He faces grim odds, because he and his small band of soldiers are outnumbered ten to one, and they’re running out of ammo. Five times during a fierce firefight, Marine scout sniper Scott Montoya spots an injured comrade in the street. 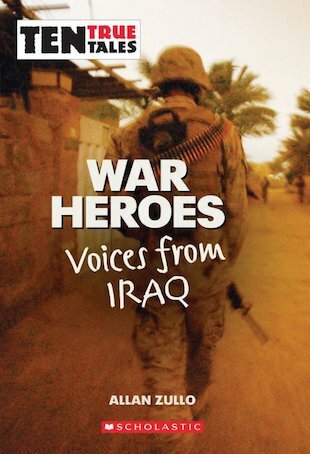 And five times he disregards his own safety and rushes out into the open, braving enemy fire to rescue each wounded Marine… This inspiring book features these and eight more true stories about heroes who risked their lives serving their country in Iraq.